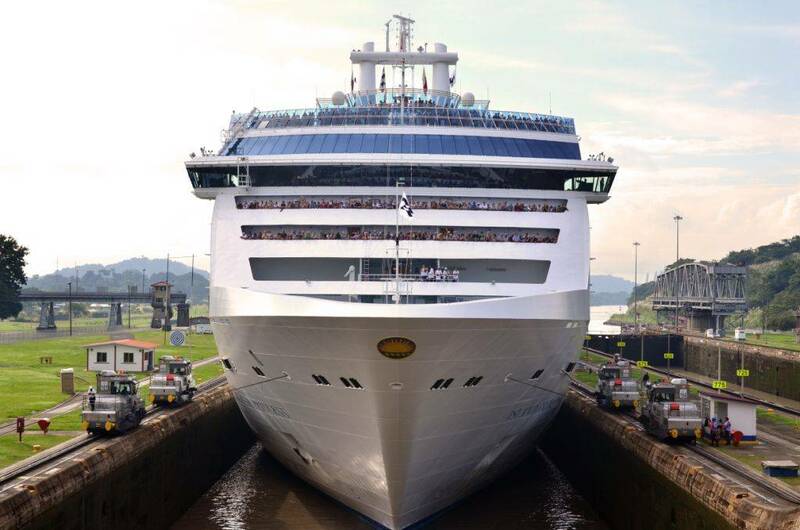 “We expect the major cruise lines will use the Panama Canal route during the cruise season, which lasts until April 2017,” said international trade specialist Albano Aguilar of the Vice Presidency for Planning and Business Development. Similar to previous years, the main cruise lines, including Holland America Line, Princess Cruises, Celebrity Cruise Line and Norwegian Cruise Line, will offer itineraries with full or partial transits through the Panama Canal to add to their passenger’s experience. Smaller cruise ships will also transit through the waterway, including the Voyager Safari and National Geographic Sea Lion, with shorter seven- and eight-day itineraries, respectively, along the west coast of Central America. During this season, Regent Seven Seas, Holland America Line and Noble Calidonia will have ships transiting with new itineraries through the Canal. Regent Seven Seas Explorer will transit on January 2, 2017, Holland America Line's Eurodam on April 13, 2017, and Noble Calidonia's Hebridean Sky on April 17, 2017. After completing more than 160 successful transits through the new locks, the Panama Canal is now accepting booking requests for Neopanamax passenger vessels for transit dates beginning April 1, 2017. To date, 11 reservations have been made for passenger vessels to transit the Expanded Canal starting October 2017, for the 2017-2018 season.